When Spotlight was formed some 15 years ago by Graham, Simon, Marion and myself, we had absolutely no costumes or scenery. Having decided to stage Grease as our first musical theatre performance, Marion, who took on the role of Wardrobe Mistress, made a decision to try to source all of the costumes we needed through eBay, car boot and charity shop purchases. As an insomniac, she made many fabulous purchases on eBay in the early hours of the morning and we were always excited to see her latest acquisitions. Funding came from the four of us, in the hope that the show would be a success and ticket sales would reimburse us in due course. Thus, the Spotlight costume empire began! Through huge amounts of hard work, our first show was a sell-out and we successfully costumed the 75 young people in the cast, who took to the stage in their 1950s attire. While hard work always pays off, every group needs a little luck and, while ‘car booting’ in Cambridge for costumes for our second show, we were fortunate to meet a certain trader. She told us about her friend, Annie, who had run a theatrical costume hire company for many years. Annie needed to sell her stock to get her outbuildings back in readiness for her daughter’s wedding later that year. After a quick telephone call, we visited Annie’s home, fell in love with her stock and decided that this was an opportunity too good to be missed. 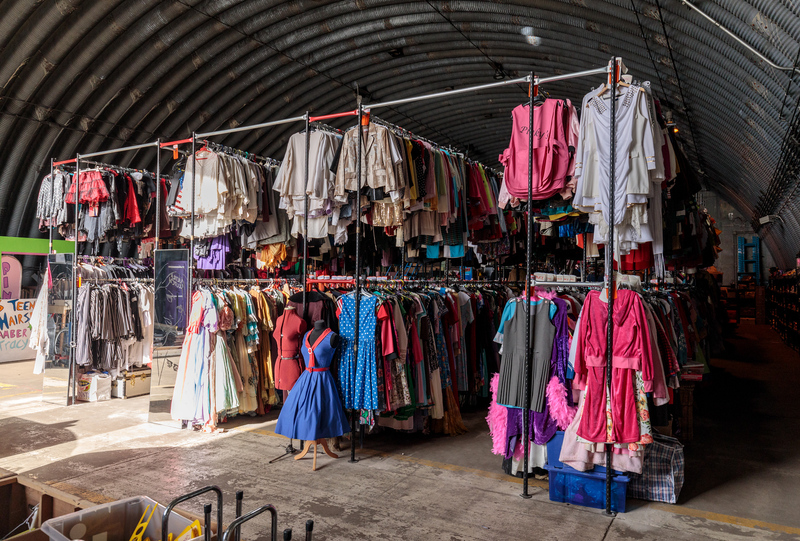 Once again funding this ourselves, we became the proud owners of her complete stock, of some 10,000 costumes, spanning every era of history, military uniforms and pantomime. Marion was very excited to get her hands on the Victorian costumes in particular as our next show was to be ‘A Whitechapel Tale’, a musical based on the Jack the Ripper story, which her husband and a friend had written. Sometimes, a good decision leads to a few headaches and additional problems, like “where the heck do we store it all?” Initially shoe-horned into Marion and Simon’s garage, it became apparent that this was not going to be practical long term, so we started to seek a home for the Spotlight costumes. the fantastic aircraft hangar supplied by our Sponsors that we use today. 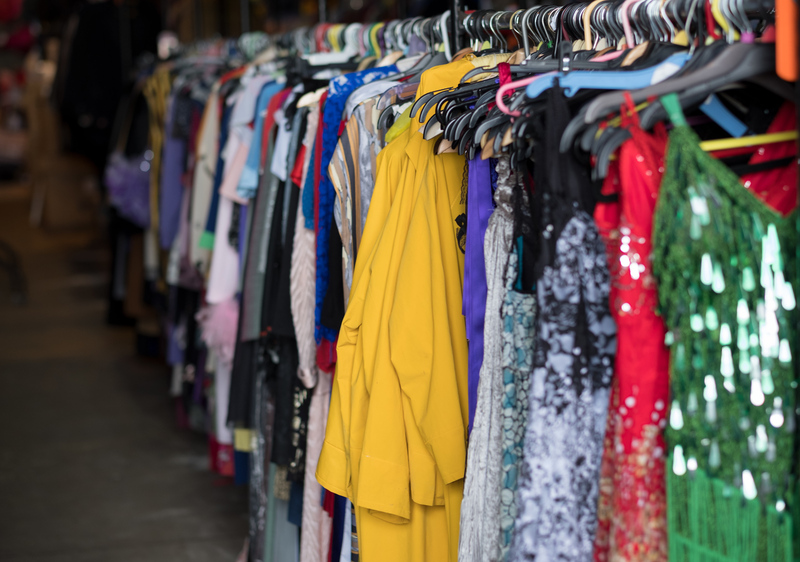 Over the years, we have invested wisely in the purchase of new costumes and have been very fortunate in receiving costume donations from other local groups who have either, unfortunately, closed down or had nowhere to store costumes themselves. To these people we are very grateful. We continue to upgrade, repair and launder to ensure that our hirers are always satisfied with what we supply. This is due entirely to the huge group of volunteers who support us on a regular basis. I would like to say a huge thank you to Melissa and Steph who make and repair all of our costumes, which have come off worse during someone’s quick change. Thanks also to Sue, who spends hours laundering costumes following a hire. Sue has an interesting variety of washing on her line most weekends and her neighbours are still a little perplexed as to what she and Steve get up to in their spare time! 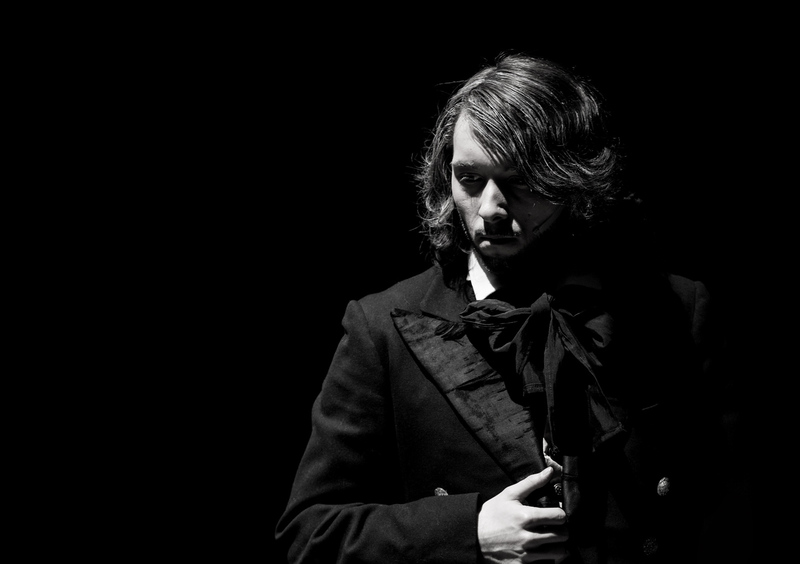 Our costumes can be seen in a variety of performances across the UK and, last year, our complete set of costumes and scenery for Les Misérables went to Scotland twice! and a number of themed dance shows! 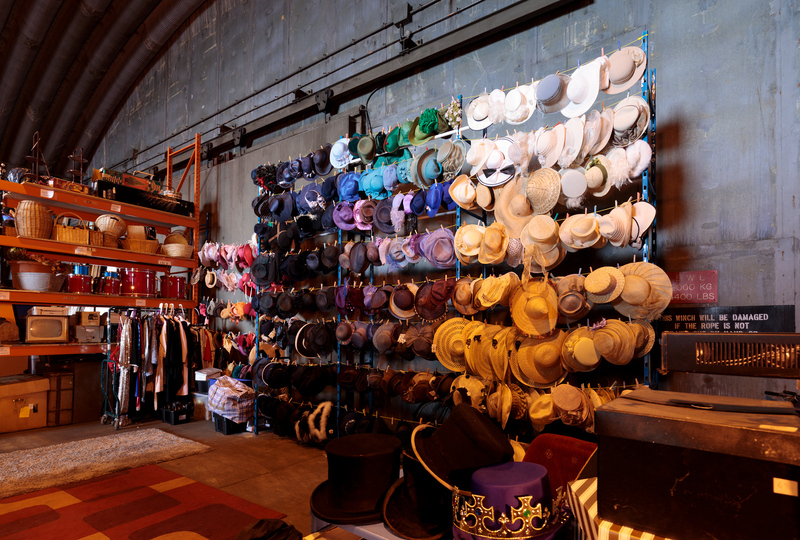 We would love to hear about your up-and-coming productions and are always happy to discuss costume and scenery options for your shows. Mark Heath, who designed our website, takes the most amazing photos of our shows at dress rehearsal and these can be found sprinkled through our website to give you an indication of the quality of costumes that we can supply for your show. We would love to hear from you, whatever stage you are at in planning your next show. Please contact us!